Why Hire Us? | Law Offices of R. Morgan Holland, L.C. When it comes to choosing a law firm to handle your legal matter, it can be overwhelming to choose one among the many who claim to have the experience and resources to help you. So why should choose to rely on the Law Offices of R. Morgan Holland, L.C.? To put it simply, we are good at what we do and we are willing to go the extra mile for our clients. No matter how simple or complex your case may seem, you can be sure that our law firm has the resources and insight to protect your rights and interests. Whether we are handling a family law or bankruptcy case, our approach is always the same: To manage each case with the diligence, professionalism, and confidentiality it merits. But you don't have to take our word for it. Take a look at what some of our past clients have to say about our unparalleled services, not to mention our excellent track record. Contact us for a free consultation in Santa Maria or San Luis Obispo. 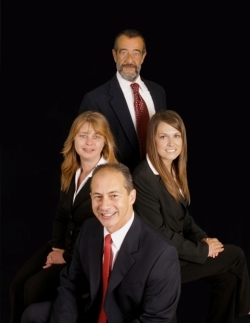 We understand that dealing with a family law or bankruptcy issue can lead to many questions and concerns. This is why we proudly offer all our clients a complimentary 30-minute case analysis, in person, so they can gain a clearer understanding of their rights and legal options. This also allows us to provide them with an estimate of the time and cost for the resolution of their case. Unlike other law firms, we do not make promises we can't keep. For more information on how the Law Offices of R. Morgan Holland, L.C. can be of assistance to you, please contact our attorney today.